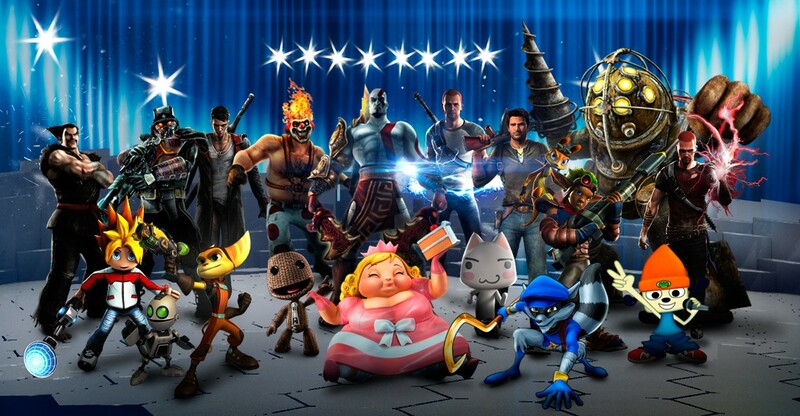 Kat and Emmet have finally been released for PlayStation All- Stars Battle Royale. They’ll be free for their first two weeks of release, after that they’ll each be $5(quite a hefty price for just one character if you ask me.) As a huge Gravity Rush fan I immediately picked Kat, and she stays very true to her game. she spends a lot of time floating and kicking just as you’d expect(also has Dusty as well, which for those of you who don’t know, is Kat’s source of power.) I haven’t played Starhawk, but Emmet is also quite enjoyable as well, he’s able to alternate between 3 different weapons, a rifle(his default), a shotgun, and some king of rocket launcher. The shotgun and rocket launcher do have ammo though so you’ll have to resupply them once you run out of bullets; plus he even has a turret! There is also a new stage as well, Fearless. Which combines Heavenly Sword & Wipeout. While it cost $2 to play offline, you can don’t have to pay a cent to play it online which is a pretty neat feature and I hope all future stages are like that as well. New Minions have also been released, if you’re into that stuff. Supposedly there’s supposed to be an announcment of future DLC in March but I don’t know if that’s still the case Since Sony has let go of Superbot, and let Santa Monica work on DLC instead. After a whole year Deadman Wonderland has finally returned! For those that didn’t know, Deadman Wonderland went on hiatus because the author was pregnant. If you’re curious she gave birth to a beautiful healthy baby boy. Ganta and friend’s return features 45 pages, please note that this will also be the final arc of DMWL. Hey guys, sorry about not posting anything in the last couple of days, had a mid term plus I need to finish up the first part of my transfer application, so I haven’t had much time to play lately(must play more Ni No Kuni!!). Lately I’ve found myself playing some of my old PSP PSN games on the train. So I figured I’d share three of my favorite PSP games that are available one the PSN, note that these are also playable on the Vita as well; which is the system I play them on. This is a prequel to the original Dissidia and features more characters as well. While the story is quite… confusing, the combat is the true meat of the game. Think of it as the Smash Bros of Final Fantasy, and just like Final Fantasy you can customize your equipment, even your moveset! The only disappointing thing about this game is that Cloud doesn’t have a Zack Fair alternate costume -Zack fanboy-. This game is one of my newer purchases, so far I’m about 25 hours in if i recall correctly. This game is at heart a Monster Hunter competitor; or clone as many like to label it. Now for me I never found much joy out of Monster Hunter, not that it was a bad game. 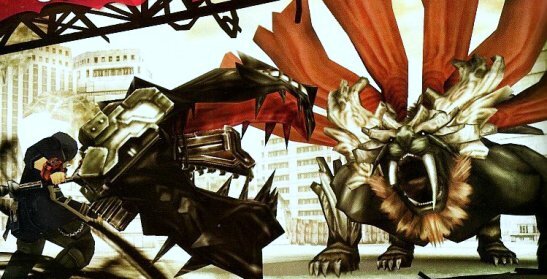 It’s just I’d get bored of playing after a mission or two, but its different with Gods Eater. I guess its because theirs a story, an ultimate goal you can say. Plus, its more action packed. Basically every mission is like fighting one of the bigger baddies that’s in Monster Hunter, which is great. Without a doubt this is the game I’ve invested the most hours into on my PSP, the only game that even comes slightly close is the original Disgaea. If you don’t know what this game is about, it’s a strategy RPG with some of the most quirkiest characters I’ve ever seen, which is what keeps me hooked on the series. 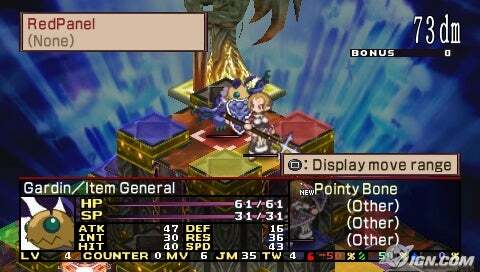 This game is all about leveling up, you even enter stages in your equipment to level them up as well. According to my save file I’ve already invested 162 hours into Dark Hero Days, and the game is only $20. Some might not enjoy the grinding, hell, I didn’t like it at first neither but the story really keeps you playing.